Costa Rican-born Francisco Zúñiga (1912-1998) was first exposed to religious wood carving in the studio of his father. As a youth he studied drawing at the School of Fine Arts of San José. Motivated to become an artist, Zúñiga attempted in 1936 to visit and study in Europe but the Spanish Civil War blocked his plans. Instead he went to México where he studied under Manuel Rodriguez Lozano. He became a frequent visitor of Mexico City’s old Anthropology Museum. The prehispanic sculptures there became a determining factor in the style and themes of Zuniga’s later works. During 1937 Zúñiga contributed to the stone sculptures of Oliverio Martinez in the “Monumento a la Revolución.” His talent and dedication were recognized and in 1938 he joined the faculty of “La Esmeralda,” the prestigious Mexican school of painting and sculpture of the National Institute of Fine Arts. Throughout the years until 1970, Zúñiga created many monumental public works. Later he dedicated more time and effort to his lithographs, drawings and sculptures. Zúñiga’s themes consist almost exclusively of female human figures. He used the reboso (Mexican shawl) to generate his well known pyramidal composition of southeastern Mexican females. Often the figures, regardless of their dimensions, represent women’s powerful strength as matriarchs. Zúñiga’s masterful technique veils and unveils the anatomy of young, mature and elderly women. He has described his work as “a continuous representation of femininity.” Like no one else, he has captured and created the archetype of the women of southeastern México. Zúñiga leaves behind an extensive legacy. His works are owned by major museums throughout the world including the Museum of Modern Art and the Metropolitan Museum of Art in New York City, the Museum of Modern Art in México City, the Middleheim Museum in Belgium, the Fogg Art Museum at Harvard University, the Hirshhorn Museum & Sculpture Garden in Washington, D.C. and the Open Air Museum in Hakone, Japan. He has had more than 50 individual museum and gallery shows world-wide. In 1984 J. Brewster published Zúñiga: The Complete Graphics and in 1999 the first volume of his Catalogue Raisonné was published. There are more than 10 monographs about Zúñiga published in English, French and Spanish. 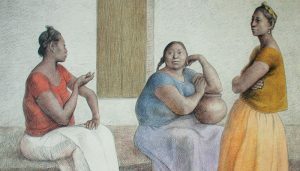 A member of the Mexican Academy of Arts, Zúñiga received the 1992 Mexican Award for the Arts, the highest distinction that the Mexican Government grants to an artist. 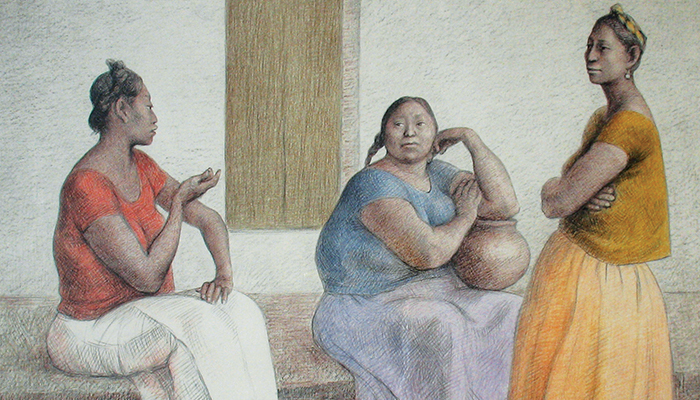 In 1998 the National Institute of Fine Arts of México paid homage to Zúñiga with a retrospective exhibition at the National Palace of Fine Arts in México City. Francisco Zúñiga died August 9, 1998 in México City.